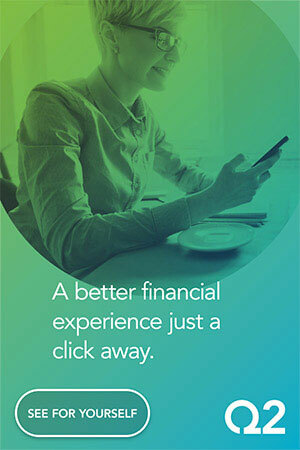 As consumers demand more from their user experiences across industries, banks and credit unions need to develop strategies that will leverage data to better understand and serve customers at all stages of their financial lifecycle and in all channels. The result will be lower costs to serve, increased product sales and greater loyalty. Financial institutions have access to billions of existing data points on consumers that can help them better understand current and prospective customers’ needs. 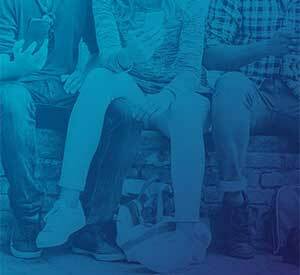 As a result, these same organizations are well positioned to use this data to improve targeting programs, the consumer experience, and ultimately, loyalty and revenues. Analyzing transactional data is at the core of the data at a financial institution’s disposal. Transaction data can uncover powerful insights into customer needs, preferences and behaviors. However, transaction data represents only one type of insight that financial institutions possess. Other types of insight that reside within an organization include both structured data (demographic profiles, product ownership, balances, etc.) and unstructured internal data (call center logs, channel interactions, correspondence, etc.). In addition to internal data sources, banks and credit unions can also take advantage of external data. Social media represents a largely untapped source of insight that financial organizations can use to develop a more holistic view of their customers. 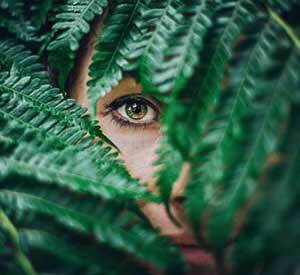 Social media insight is most effective in identifying opportunities based on recent life events, such as a birthday, marriage or even a recent major purchase. Despite this potential to leverage data to understand and serve consumers, only 20.1% of respondents to a survey from NGDATA felt very confident that their financial institution understood them. More than 50% of those surveyed were only somewhat confident or not confident at all that their bank or credit union understood their needs. The in-depth survey of more than 500 U.S. consumers examined the most important characteristics when choosing a financial institution, the channels households prefer to use, as well as how loyalty can be earned. It was found that each of these components of a financial relationship are directly impacted by how well data is used to increase the level of consumer understanding. 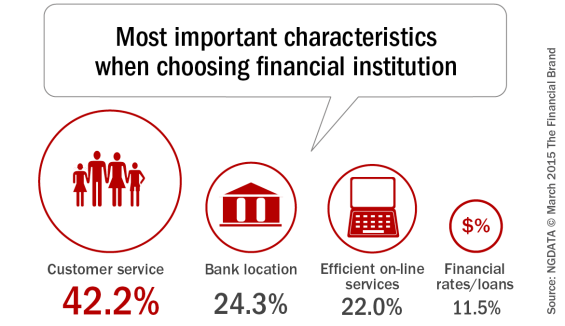 42.2% of respondents said customer service is the most important factor when selecting a financial institution, compared to bank location (24.3%), efficient online services (22%), and financial rates/loans (11.5%) offered by the bank or credit union. 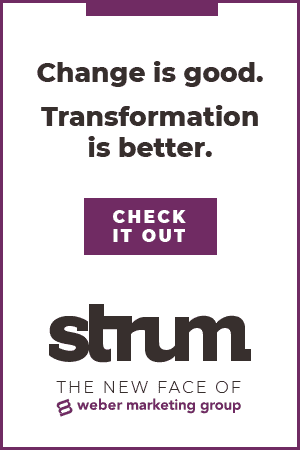 Furthermore, 37.7% of respondents hold multiple bank accounts, with 42.5% of 45-54 year olds holding 1-3 accounts – indicating that organizations need to identify their high value, likely-to-churn customers. The research indicates that the overwhelming demand for quality customer service provides motivation for financial organizations and their executives to improve their customer experience levels to differentiate themselves and to stay ahead of competitors. This, in turn, will improve acquisition results, engagement and cross-sell effectiveness as well as customer loyalty and growth. Banks and credit unions can achieve this by leveraging existing and historical consumer data to target consumers at the individual level and foster a more custom and personalized experience. Consumers receive information from and interact with their financial institution through a number of channels, including online (web, social media, email), in-person and using the phone. While online (website, email) is the dominant channel consumers use to interact with their financial institution (49.4%), a significant amount of banking business is still conducted in-person at the branch (37.9%), while 12.6% of the interactions are done via the phone. 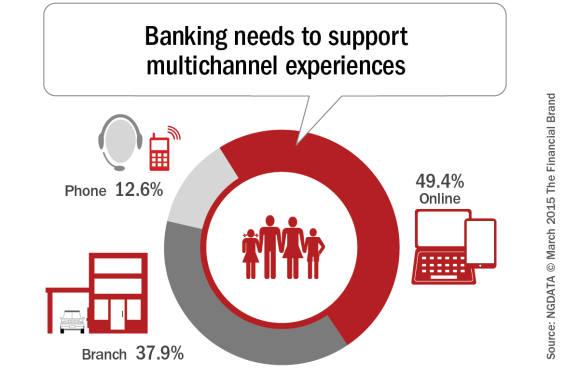 This research underscores the need for financial institutions to have a multichannel strategy that ensures they’re reaching the household via all the channels with which they interact. For instance, if a consumer is conducting business at a physical branch, it is critical that the bank or credit union has quick access to that individual’s profile – i.e. their level of engagement, transactional history, CRM experience, website history, social channel interaction, financial standing, etc. – so they have the information needed to deliver timely, appropriate content and offers to the consumer on the spot. According to the NGDATA research, this consumer-centric strategy requires the anticipation of future needs – looking at behavioral patterns, market trends, and user experiences for proactive measures to secure a personalized, unique and memorable experience across multiple channels. This, in turn, enables the consumer to feel understood and valued, and likely to develop a loyalty that will be a good basis for improved retention, up-selling and cross-selling. 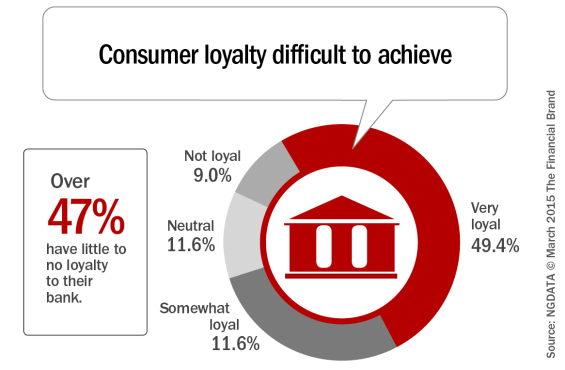 Nearly half of respondents (47.4%) are not very loyal to their financial institution, with 26.8% being somewhat loyal and 20.6% being neutral or not loyal at all. 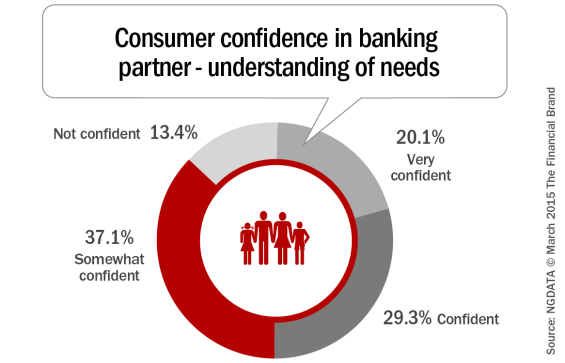 And as mentioned earlier, only 20.1% of survey respondents felt very confident that their bank even understands them. There is technology available today that provides the flexibility and scalability required to support a much more effective approach to data storage, data analytics and data utilization. New approaches to data storage allow for easier collection and a greatly expanded capacity for storage and analysis at a lower cost. Visualization and reporting platforms also offer a view into data only dreamed of just a few short years ago. In other words, what was once the domain of only the ‘big boys’ is now accessible to banks and credit unions of all sizes. Having access to data and the ability to process this insight is not enough. Consumers expect their financial institution partners to be able to provide real-time recommendations based on changes in their financial profile. 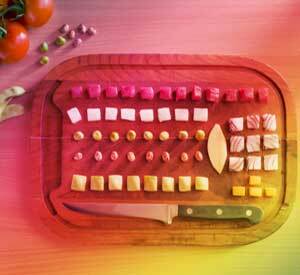 To read the full NGDATA Consumer Baking Survey research report, click here. To see the infographic on this survey, click here. This article was originally published on March 24, 2015 . All content © 2019 by The Financial Brand and may not be reproduced by any means without permission.